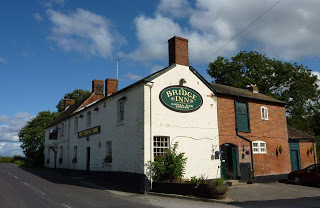 On 1st August 2018 CRT informed boaters that the bins at the Bridge Inn, Horton would be closed until further notice due to Wadworths Brewery withdrawing its consent for the bin site. This is despite a 99-year lease dating from 2002 in favour of BW/CRT whereby CRT has the exclusive right to use the end section of the car park with rights of access. The NBTA has written to Wadworths expressing concern about the effect on boaters, especially liveaboards, of removing yet another essential facility on the eastern side of the K&A and where CRT has the right to use the land. The Wadworths Chief Executive Chris Welham said that he had asked his team to investigate and that he was concerned about the issues raised. The landlord of the Bridge Inn, Matt Smith, had complained that he wanted CRT to remove the bins there due to misuse by companies fly-tipping and using the bins for bulky waste, rather than paying to use the Council dump on Hopton trading estate. Now he appears to have made this happen. It seems that he was unaware of the lease although it is not clear whether the bins are on the land covered by the lease. Mr Smith has also fitted gates across both car park entrances which is part of his battle to stop boaters, especially moorers on the permanent moorings at the Bridge Inn, from parking and having vehicle access to their moorings. Boaters are concerned that this is both a fire risk and a road safety risk. The Fire Service has been informed of the danger to boaters if there is no access to a boat fire at the moorings. In 2017 the pub had restricted the use of its car park to 3 hours but allowed boaters to use it for longer or overnight at quiet times if they ask at the bar for permission and leave their registration number. Even more worrying is Mr Smith’s threat to turn off the boaters’ water supply permanently from September. Boaters have already lost rubbish disposal at the Barge Inn, Honey Street; the bins at Devizes Wharf were removed for a period, and many more restrictions have been placed on parking near the canal. Even before this, boaters’ facilities east of Devizes were scarce and are still inadequate, especially between Great Bedwyn and Reading. The moorers at Horton are extremely angry because refuse disposal, parking and water supply were all specified in their mooring agreements and in the advertisement for the moorings. The mooring fee reflects the facilities available and also influenced the amounts boaters were willing to bid when they took part in auctions for the moorings. As of 1st August they are paying over the odds for services that have been withdrawn. According to Matt Smith the visitor moorings, permanent moorings and the water tap at Horton are owned by the pub, which is responsible for paying the water bill. CRT reimburses the pub for the cost of the water.Mr Smith has said that on several occasions he has turned off the water tap because CRT did not pay the bill promptly. This entry was posted on Thursday, August 9th, 2018 at 10:31 pm	and is filed under News. You can follow any responses to this entry through the RSS 2.0 feed. You can skip to the end and leave a response. Pinging is currently not allowed.